My adorable ‘little’ nieces and nephew, who are 10 to 16, continuously inspire me. My nephew is a ‘sports guy’ but I always tease he should be in drama class because he is hilarious. Love how he makes me laugh. The girls are funny too and have such big hearts. My Dad - blessed to have had in my life for 25 years -- far too short a time but what a lasting impact. He had a way of teaching life lessons through wise words and admirable, honorable action. Could go on and on but will keep it short by saying he loved life and taught me values I hold dear -- my strengths definitely come from him. My mantra is Live, Laugh, Love. I’ve let these slide at times but they’ve been staples overall. Life is what we make of it! The Secret inspires me. Jack Canfield, Jean Houston and many others. Mother Teresa -- to this day when I see pictures of her, I see a beautiful person! With all her ‘life lines’ on her face, I see compassion, warmth and an indomitable spirit. 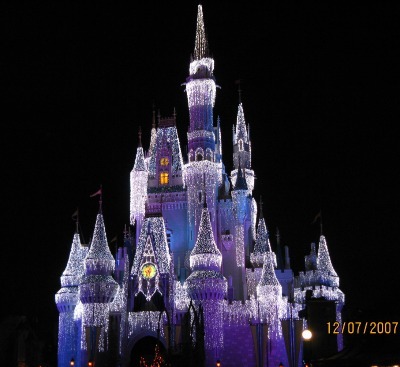 Disney - movies, Disney World, the book, Inside the Magic Kingdom - Seven Keys To Disney’s Success, all inspire me. From the classic movies to the new ones, the lessons and morals of the stories resonate and are taught in a way children relate. Travel - Love connecting with other cultures, learning about them, a little of their language. Hawaii is my favorite destination. Of the airports I’ve exited on arrival, I still remember and can smell the fresh plumeria of Hawaii! The warmth of the people and scenic delights are the backdrop for bliss and rejuvenation. Mate’s books inspire me. Love the food, culture, language and way of life. Hope to travel to Tuscany in the near future and learn to cook better directly from the Tuscans! The ability to see beauty where others see none. And the wisdom to look forward to tomorrow. In short, simple things inspire me. The inter-connectedness among people, the environment around us, our outlook on life and spirituality. Nature, in all its glory. The beauty in landscapes, plants and flowers, the seasons . . . animals, birds and butterflies. The expressive joy and wonder on a child’s face. Ahhhh, life is precious! I am blessed. By the way, love your humor and collection of quotes! It's been emotional. Great quotes. You will love Italy, it's so so beautiful.